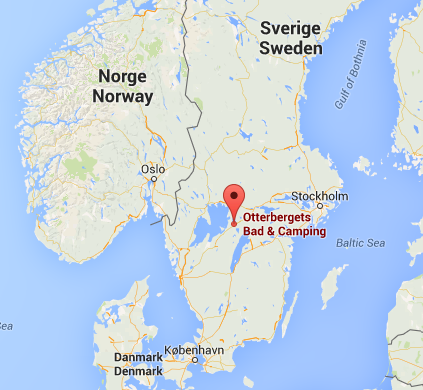 This camping facility is part of the Camping Key Europe system. As a result, you are required to hold a valid Camping Key Europe when renting a camping site. You must be at least 18 years old in order to book or sign a contract with us. Identification may be required upon check in. Compliance with the age requirement is a condition for taking possession of the accommodation. Upon booking, a written booking confirmation will be sent to you. The booking is binding when you’ve paid the registration fee or the entire rent. If you’ve made your booking more than 40 days before arrival, the registration fee is 25% of the total amount, subject to a minimum of SEK 125. The registration fee is payable within 14 days from the date when the confirmation was sent. This fee will be deducted from the rent. The balance of the rent must be paid before or at arrival. If you don’t pay the registration fee within the time required, we have the right to cancel your booking. Failure to make the final payment will be deemed to be a cancellation by you, and the cancellation rules will apply. You can cancel orally or in writing to the person responsible for the booking (see confirmation of booking). Cancellation directed to anyone else will not be deemed valid. If you cancel more than 40 days before arrival date, you will not pay any more than a service fee of SEK 125. If you cancel the booking between 12 and 39 days before the arrival date, you must pay 25% of the total rent. If you cancel the booking between 2 and 11 days before the arrival date, you must pay 90% of the total rent. Check-in is at 3 p.m., and check-out, no later than noon, unless otherwise agreed. If the site, cottage or room is not vacated in time, you will be charged for any additional costs that arise from the inability of the next guest to check in at the proper time. The SCR Rules of Conduct apply at this camping facility. There may be local additions regarding objects to be placed on sites, automobile parking, running electric cables, sewage tanks, and other matters, based on government agency requirements. Violation of the rules of conduct may lead to a guest being excluded from the premises. You may purchase any insurance protection you feel you require, such as liability, accident and luggage insurance. If you have checked in with a valid Camping Key Europe, special on-site accident insurance will apply. The camping facility is liable for injuries that you sustain through the proven negligence of owner of the camping facility any of its personnel within the scope of its service obligations. The camping facility is not liable for injuries that you sustain that are caused by a third party or another guest, or for an injury beyond the control of the camping facility. If the leased accommodations do not comply with the description promised, this should be reported to us within 24 hours of your arrival so that we have will be able to remedy the situation. We urge you to report any defects arising during your stay, without delay. We keep the following personal data of our customers: first name, last name, mailaddress, personal number, address, postalcode, residence, country and phonenumber. We use this data only for booking and contact with you about the booking. We do not share this data with others. You can request us for a statement, change or removal of your data.